The Webster Storefront. Circa 1924. It’s not a bad idea to do a little homework before calling an HVAC and/or plumbing company. Check out these informative resources! 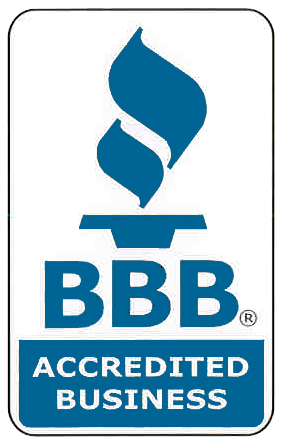 The John G. Webster company is proud to have earned an A+ rating-their highest. Maintaining your heating and cooling systems in good working order will keep your utility bills lower and your home more comfortable. You’ll also need to call for repairs less often! Replace your heating and cooling air filters every month that they’re in use. Operating your system with old, dirty filters will waste energy and can even damage your system. While you’re at it, check and clean the filters in your home’s air cleaners and humidifiers. If you have a forced-air heating system, check your furnace’s blower compartment and blower coils. Vacuum dirt and dust. If you’re comfortable doing so, check fan belt tension, and lubricate fan and motor bearings. If you have a steam system, check the shut-off valve for leaks, and flush system regularly. Bleed hot-water system radiators at least once a year. To make sure you’re getting the most out of your heating system, keep the heating registers and vents throughout your home free of dust, dirt and pet hair by vacuuming them at least once a year. Listen for odd sounds when your heating or cooling system kicks on. If you hear anything unusual, get in touch with your service professional so you can head off problems before they become serious. Have questions about maintenance? Interested in a system check from John G. Webster? Contact us today! Get the best energy rates for your business with Nextility, without any hassle. All quotes are cost and commitment free.